We represent many top manufacturers including, Schmidt, Clemco, Empire, and Eclipse. This means we can recommend the best solution for your application – we do not believe in a “one size fits all approach”. Many factors should influence your buying decision and we can help sort them out for you. If you are in the market to purchase or rent a piece of sandblasting equipment, please call us first! All of our equipment can perform dustless blasting with just a simple garden hose hook-up. Our dustless blasters are very low maintenance, and can also perform dry blasting when needed – click here to learn more about our dustless blasters. When you combine a Kaeser air compressor with a built-in air dryer, the blast pot of your choice, and an HD trailer with 4,000 lbs of additional hauling capacity, you can begin blasting in a matter of minutes! We customize complete blast systems based on your operation and business needs. Our systems use top of the line components, all expertly mounted onto trailers designed to handle the load and meet your storage requirements. There is no such thing as an off the shelf mobile rig – we believe in giving customers a choice when making this type of investment. Blast pots come in all sorts of different sizes and capacities – our lineup includes capacities from .5 cubic feet to over 160 cubic feet, and every size in-between. We also offer pneumatic or electric remote controls, portable vs. stationary, and plenty of other features to choose from. We can help you choose the right blast pot for your needs – give us a call now for pricing and recommendations. Sand Blast pots work better with a clean dry air supply. We recommend using a quality air drying system when blasting – click here to learn more about our offer. We sell and rent everything mentioned above – contact us now for rental rates or system pricing. If you are not sure of what you need, we can help guide you through the process and focus on what matters most for your particular situation. 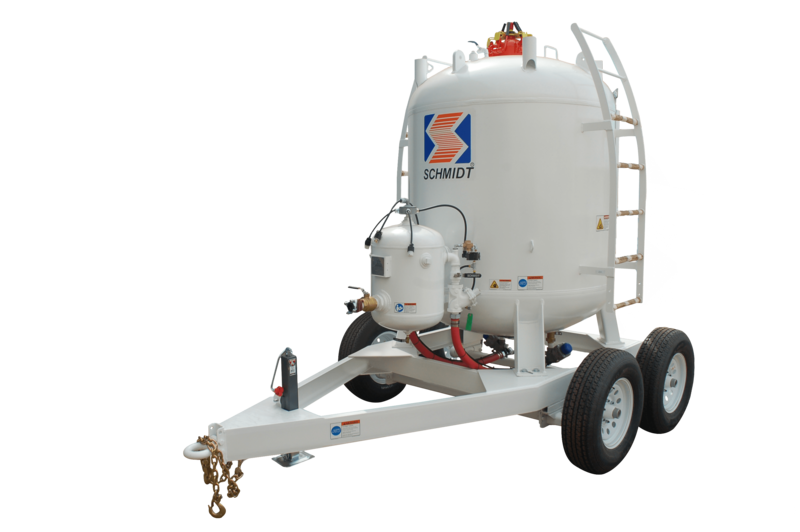 For more information on our sandblasting equipment, contact us or request a quote. Learn more about renting sandblasters. All of the blast pots we offer can run various types of media, including soft abrasives, such as baking soda, and calcium carbonate. This feature allows for maximum versatility at no additional cost.